There are many benefits to be had with Oracle ATG Commerce, but the platform isn't perfect when it comes to SEO. See how SALT.agency can help your business. 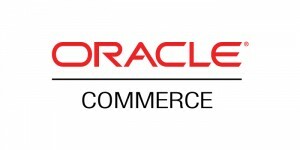 Few complaints can be made about Oracle ATG Commerce, but it isn't perfect. See how SALT.agency can help. The ATG platform is a multi-layered ecommerce framework for building and supporting websites specifically within the ecommerce sector. The platform runs on one of three application servers: Oracle WebLogic, JBoss, or IBM WebSphere. One of the many benefits of the ATG platform is that it is highly flexible, giving site owners the opportunity for scalability on a huge level. Offering an excellent level of both navigation and catalogue presentation, the platform is celebrated for its highly personalised presentation – something that it can offer each and every customer. Its powerful marketing capabilities, such as its robust promotion engine, alongside coupon and gift card capabilities, make it one of the most flexible platforms on the market. Another bonus is that the platform puts a lot of effort into enabling site owners to analyse and segment its customer base, which has proven invaluable for many. Unlike other platforms, there aren’t many common complaints around ATG. However, the most common ones seem to be within its implementation; deemed to be both time consuming and challenging. What’s more, Oracle is known for being challenging from an SEO perspective, and the reliance of out-of-the-box solutions could end up harming SEO performances. Unfortunately, these issues are not easily fixed and could actually take months to resolve. The platform is regarded by many is being extremely expensive when it comes down to licence, integration and hosting. For those with an existing online presence, pre-made stores are available to avoid people having to develop it from scratch, so quick integration is possible for those customising with an existing shop. What’s more, Oracle has its powerful Partner Network, although it can take some time for stores to find the correct ATG Partner. SALT.agency has been consulting on Oracle ATG Commerce SEO among many Ecommerce platforms for a long time. From initial planning stages through to long term maintenance and support we can help your business make the most of one of the most flexible and forward thinking platforms in the world.